The poor economic data in Eurozone is putting EURUSD under pressure. 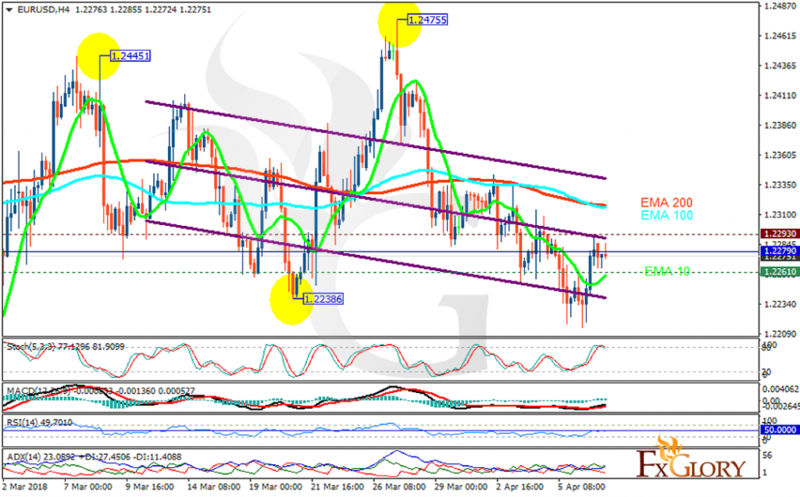 The support rests at 1.22610 with resistance at 1.22930 which the weekly pivot point at 1.22790 is located in between the lines. The EMA of 10 is moving with bullish bias in the descendant channel and it is below the EMA of 200 and the EMA of 100. The RSI is moving on the 50 level, the Stochastic is moving in high ranges and the MACD line is above the signal line in the positive territory. The ADX is showing buy signal. While USD is not empowering much, the weakness of EUR will drag the price down towards 1.22.